Most b-movies are unintentionally bad, and many of them are unintentionally hilarious as a result. 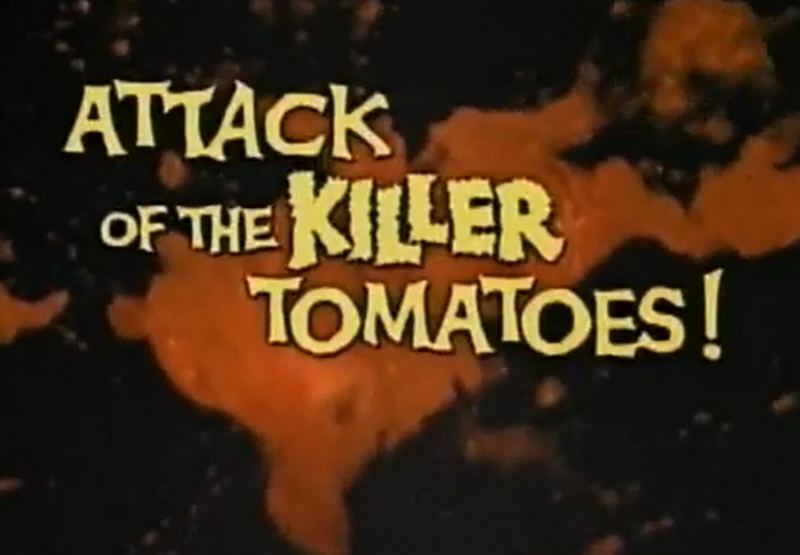 Conversely, Attack of the Killer Tomatoes is trying to be terrible- the story goes that they were trying to out-cheese Plan 9 From Outer Space- but it’s not bad in a funny way, it’s just kind of tedious. 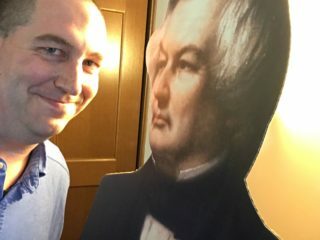 Sure, it’s trying hard, but it’s not bad enough to be funny and it’s not good enough to be enjoyable, like a C-minus term paper in celluloid form. The trick with doing a deliberately ridiculous movie is disguising a well-told story as utter nonsense. The Zucker brothers have done this for years (like the murderous Reggie Jackson in The Naked Gun), but here the story really is nonsense. Following the usual â€œevil invaderâ€ scenario, the plot has a government agent named, har har, Mason Dixon (David Miller) leading the government’s response against a mob of bloodthirsty tomatoes, or something. There are some subplots, too, but they make even less sense: the President’s press secretary (George Wilson) hires Dixon, and then tries to kill him; a very un-intrepid reporter (Sharon Taylor) follows Dixon around to get the skinny, then disappears for an hour, then reappears so as to get saved from a tomato and fall in love with Dixon; and Dixon’s secret agent team gets killed pretty easily (so why show them at all?). The sequence of events is as confusing as any bad sci-fi picture, but if the point is to make us laugh, it ain’t happening. But do I really need to tell you that the tomatoes are stopped in the end? Or that Lois and Dixon fall in love, even though they’ve only briefly met once before? Of course I don’t. There’s a laundry list of cliches in the movie, which they run through almost mechanically, with no real passion or enjoyment behind them. It’s a spoof, we better have a radio announcer saying serious-sounding stuff. And a spoof on a car chase! And a dashing, courageous spy who isn’t dashing or courageous! Yuk, yuk. I did like Dixon’s teammates, which includes a black â€œdisguise expertâ€ dressed as Hitler, a military guy who wears his parachute everywhere and an â€œunderwaterâ€ expert who does underwater recon in a city fountain, but that was about it. Killer Tomatoes is probably worth seeing just for the name recognition alone, but as a b-movie, it leaves a lot to be desired. Mildly recommended. There’s also a sequel, â€œReturn of the Killer Tomatoes,â€ thus proving that some things can be done even if they probably shouldn’t be.